King Goodwill Zwelithini was born in July 1948 at Nongoma in KwaZulu Natal. He is the eldest son of King Cyprian and his second wife, Queen Thomo. He was educated at the Bekezulu College of Chiefs and then privately tutored. He lived at his father's official residence at Khethomthandayo and received formal instruction in traditional Zulu customs. In 1968 his father died and a regent was appointed to look after the administration of the Royal affairs while Zwelithini completed his education. A heated debate ensued between the South African government and the KwaZulu royal family over the choice of regency. Zwelithini was installed as the eighth Monarch of the Zulus at a traditional ceremony at Nongoma on 3 December 1971, attended by 20 000 people. The country's constitution made the King's role ceremonial and subject to the authority of the Chief Minister, Mangosuthu Buthelezi. Tensions arose between the two leaders. In 1975 Buthelezi accused Zwelithini of meddling in party politics. As a result the KwaZulu government demanded that Zwelithini obtain cabinet approval to travel outside the Nongoma Tribal Authority Area. In 1979 Buthelezi further accused Zwelithini of conspiring with the Mozambican government and rejected the King's branding of the KwaZulu government as the puppet of the South African government. He was further charged with trying to form a political party, Inala, aimed at giving him power to appoint the Kwazulu Chief Minister. In reply to these allegations the KwaZulu government issued a protocol guide which limited Zwelithini's constitutional role. He refused to address the KwaZulu Legislative Assembly as was his norm and rumours of his unseating abounded. Buthelezi's response was to cut the royal salary and an inquiry was launched into the allegations of misconduct. Part of the investigation was into Zwelithini's alleged support of armed revolution. In 1979 Zwelithini denied the allegations, including a claim that he advocated violence in KwaZulu to overthrow the Zulu state. The KwaZulu government eventually restored his salary. In 1980 Zwelithini was forbidden to give interviews without the approval and presence of the KwaZulu Minister of Justice. In the early eighties political violence and vigilante activity began in KwaZulu as a result of tensions between Inkatha Freedom Party (IFP) and United Democratic Front (UDF) supporters. The African National Congress (ANC) President, Oliver Tambo, criticised the KwaZulu government for inciting the violence. Zwelithini demanded an apology for this. He did this in defiance of the constraints placed on him, which prevented him from commenting on political issues. The ANC was particularly upset with his opposition to international sanctions against apartheid. Zwelithini threw his lot in with Buthelezi and put his weight behind Inkatha, calling on his followers to support the organisation and warning those who did not. In 1989 he attacked the ANC leadership for not inviting himself and Buthelezi to a rally welcoming back the Rivonia trialists, who had been released after almost three decades of imprisonment. In 1991 he called for peace at a May Day Rally and accused the ANC was fostering anti-Zulu feelings. During the Convention for a Democratic South Africa (CODESA) Zwelithini's status became a point of bitter contention between Buthelezi and the Codesa delegates. In an about face, Buthelezi refused to attend CODESA 2 in May 1992 in protest of the lack of clarity on the future of the King's position. In July 1992, Nelson Mandela assured Zwelithini that his status was assured under a new government. This created wider expectations of a dispensation inclusive of various ethnic monarchs in South Africa. 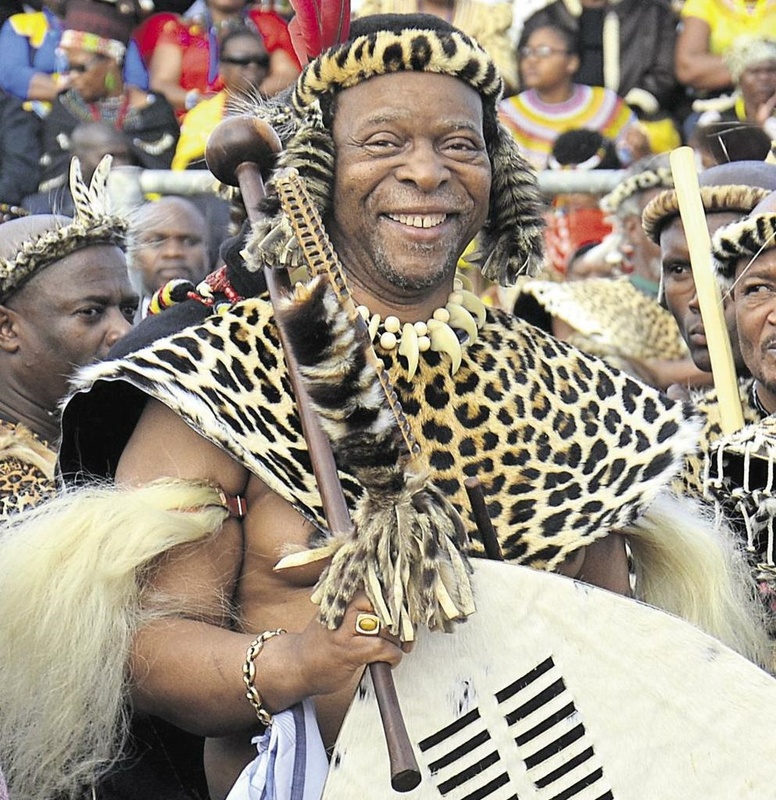 Zwelithini's finances are controlled by the KwaZulu-Natal Provincial authorities and his lavish lifestyle and the future of the Zulu royal house has been a matter of much debate. Zwelithini has six wives and lives in Nongoma, KwaZulu-Natal.